At Readings in Capitalism and History (RICH) seminars, graduate students have begun to define a global, interdisciplinary vision of the 'History of Capitalism.' The emerging scholarship on the History of Capitalism exists within a global frame. To understand it, scholars must explore the connections and conjunctures in world history that have helped create the contemporary cultures of capitalism, rather than limiting it to a contemporary, Western context. Find out more at the RICH blog. 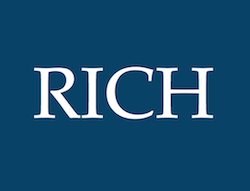 View past RICH seminars in our events archive. Please note: The Readings in Capitalism and History seminars are on indefinite hiatus.